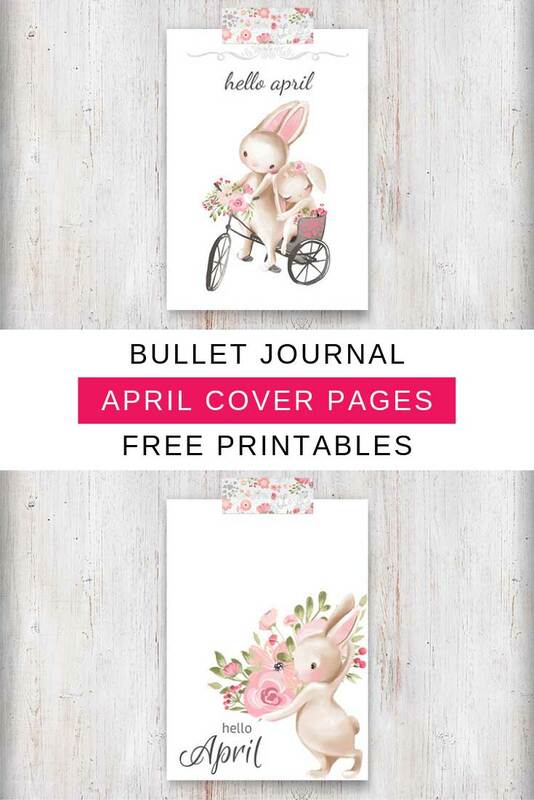 Home > Bullet Journal > Bullet Journal Cover Page Ideas > Free April Cover Page Bullet Journal Printables to Welcome the Spring! Y’all are loving the collection of April bullet journal cover page ideas I shared last week. There were so many great ideas there for us to try in our own journals. But I’ve had some readers ask where they could find some printable cover pages. So I decided to make a set and share them here with you. You can print these out and paste them into your bullet journal, use them in your planner, or why not pop one in a frame and put it on your desk to make you smile. 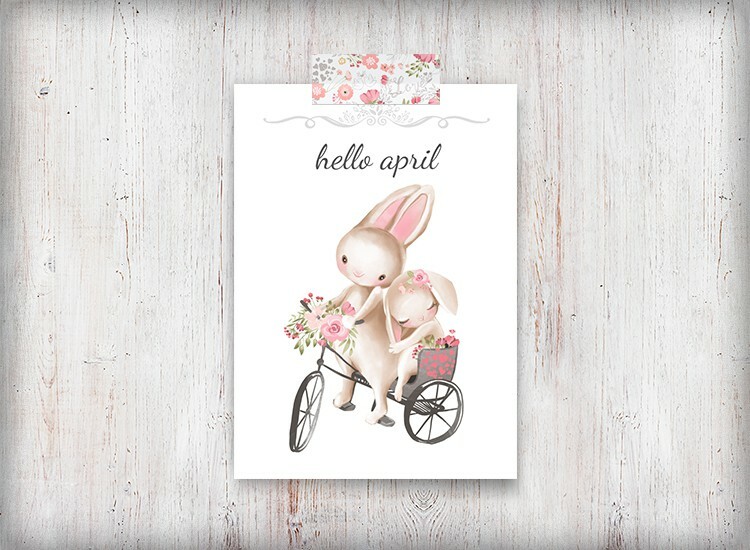 This year April brings with it Spring flowers and bunnies so that’s our theme for these cover pages! How sweet is this rabbit with an arm full of flowers? 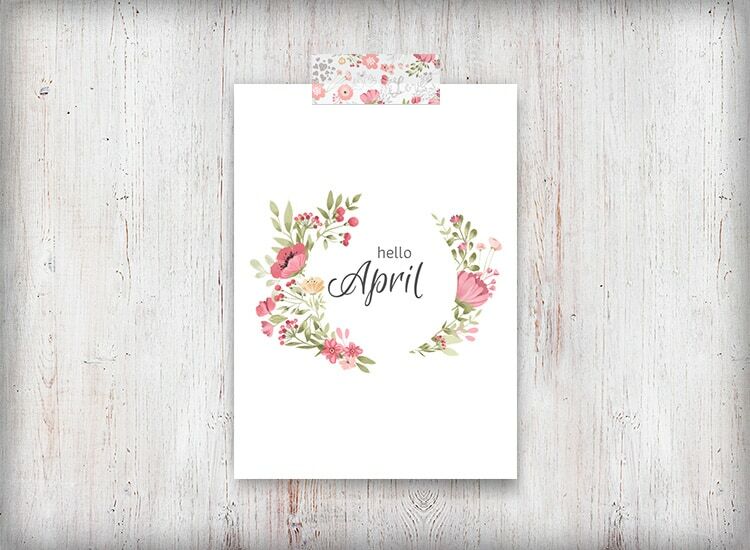 If you have a special anniversary to share with your boo in April then you should totally use this bullet journal printable! I wonder where this sweet pair are headed on that bicycle made for two! 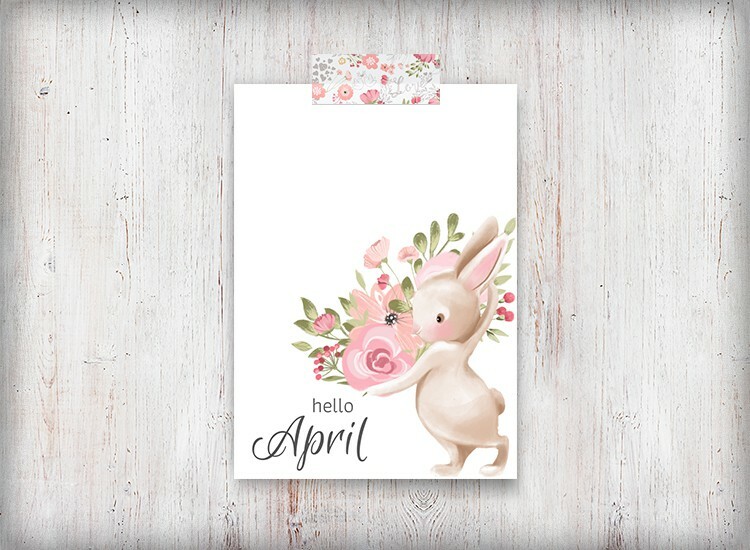 And don’t worry if you’re not into bunnies, this last cover page option has a pretty floral wreath to help you say Hello April.